I love makeup, but I can't afford to buy all it from high end brands. 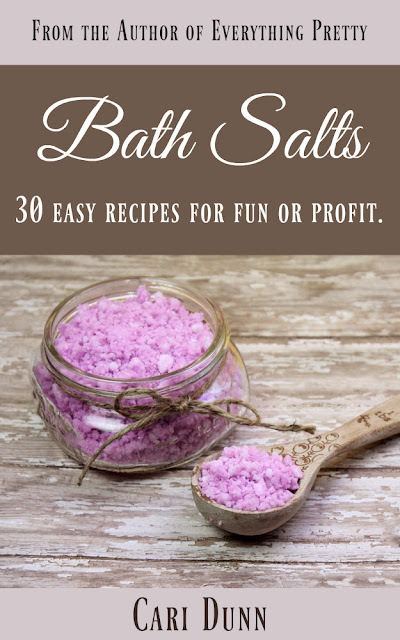 Fortunately, many drug store brands have great products available at very affordable prices. 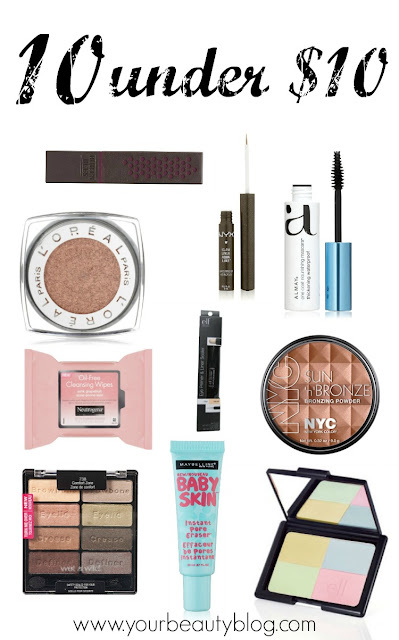 If you're on a budget or just love having a vast collection of makeup to choose from like I do, here are my top 10 makeup products under $10. 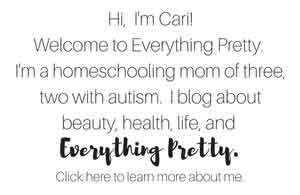 Links in this post may be affiliate links, which means I earn a small commission. 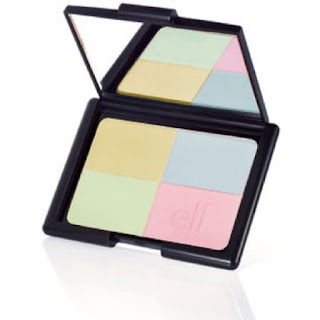 elf Tone Correcting Powder - You can use a brush to apply each color correcting powder where you need it. I take a large foundation brush and grab all of the colors and swirl it all around. The green tones down the redness, and the pink brightens. Maybelline New York Baby Skin Instant Pore Eraser If you have large pores, this is the best drugstore product. 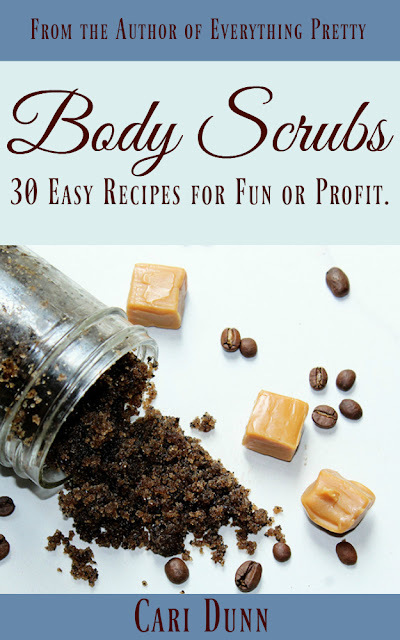 It fills in pores to smooth your skin before applying foundation. Burt's Bees Lipsticks - These moisturizing lipsticks last for hours without drying out your lips. With 16 gorgeous colors, you'll definitely find one that you love. 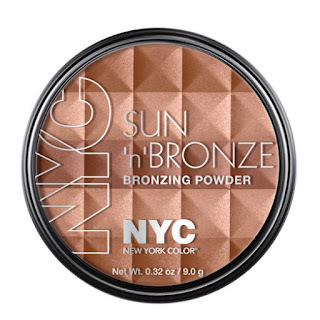 NYC Sun N' Bronze Bronzing Powder - If you haven't been able to get outside for a natural glow this summer, try this bronzing powder. It's lightweight, so it won't feel heavy in the summer heat. 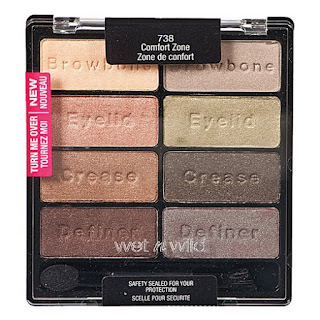 Wet and Wild Color Icon Eyeshadow Collection - Wet and Wild is one of my favorite drugstore eyeshadows. In the collections, the colors blend seamlessly with each other to create several different looks. 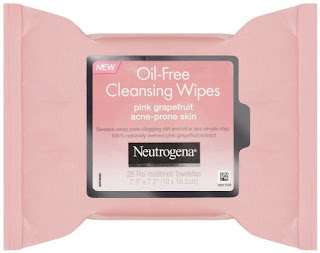 Neutrogena Cleansing Wipes - We all know how important it is to take your makeup off each night, but sometimes we get tired. These are perfect for those nights. Or when you make a mistake on your HAC but your eyeliner looks amazing. 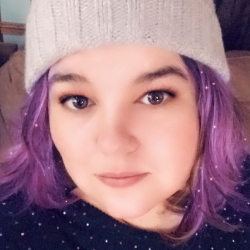 Almay One Coat Thickening Mascara - This is a great every day mascara. It gives you some definition, but it's a natural definition. 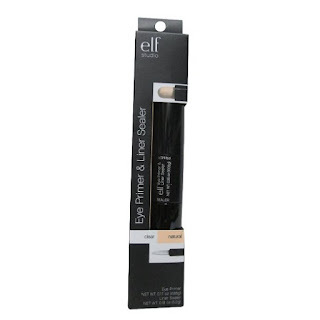 elf Studio Eye Primer and Liner Sealer - I'll admit that I prefer an expensive brand to this one, but I really, really love this one for its price. 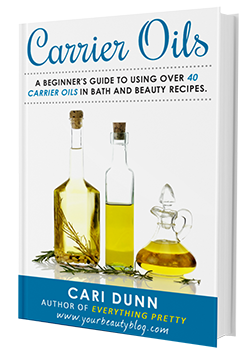 If you have oily eyelids, give this a try. 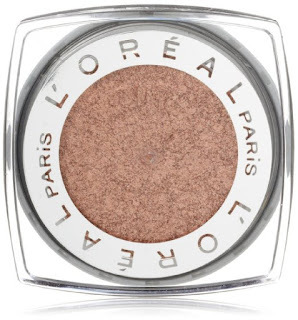 L'Oreal Infallable Eyeshadow - If you need long lasting shadow, this is about the best one you'll find under $10. It is waterproof, and it lasts and lasts. 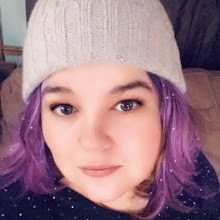 I love it in the summer, though I haven't really put the waterproof claim to the test. NYX Glam Liner Aqua Luxe - This liquid liner has a flexible brush tip for easy application. It's one of longer wearing liners for the price.